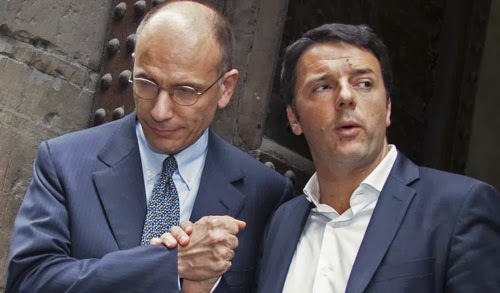 Italian Prime Minister Enrico Letta has announced he will tender his resignation to Italian President Giorgio Napolitano tomorrow. The dramatic development comes after Italy’s centre-left leader Matteo Renzi addressed a meeting of his Democratic Party earlier today. A few minutes before Renzi took the floor, it emerged Letta would not be attending the meeting – a clear sign of where things were going. The new government will aim to stay in office until 2018 – when the current parliamentary term expires. It now seems certain that the ‘staffetta’ (relay) will materialise – and we expressed our thoughts on the move in our previous blog post. After being sworn in, Renzi will have to face a vote of confidence in both houses of the Italian parliament – which, as things stand now, should be a mere formality.